Dogfight narrates the interwoven trajectory of two moths’ playful behaviour upon meeting. The forms encapsulate the ephemeral echo of the moth’s erratic trail. 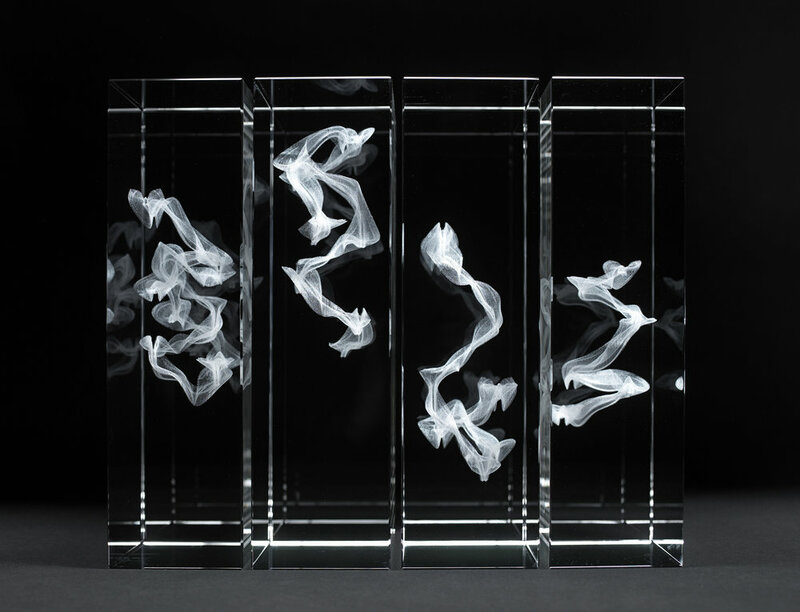 Dogfight has been materialised through sub surface engraving technology, an aesthetic reminiscent of veiling; a natural occurrence experienced within the kiln cast glass process. The natural whispering creates movement within a static object. The glass is optical crystal and appears invisible allowing the echo to seem suspended in air. 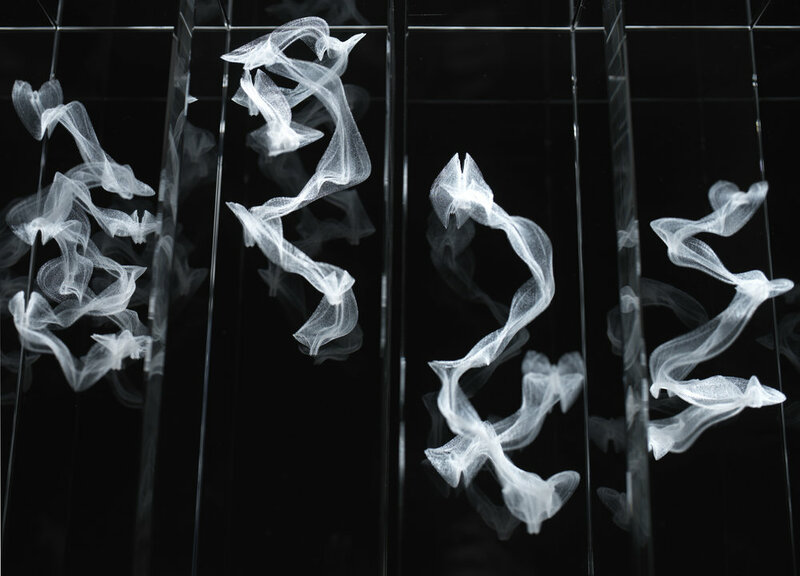 The Long Exposure series materialises the ephemerality of time and motion. The trajectory of the subject is captured through cinematic technology allowing analysis of the intermediary phases of flight in-turn deciphering the trace of the unseen form. 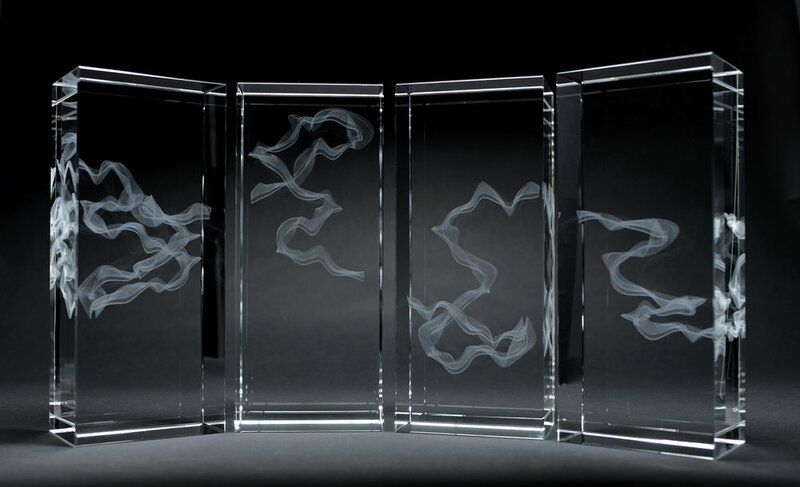 The extruded apparitions within the Long Exposure series narrate the rationale of the movement.